The facade of your building or the machinery attached to it can need technical maintenance through the years. 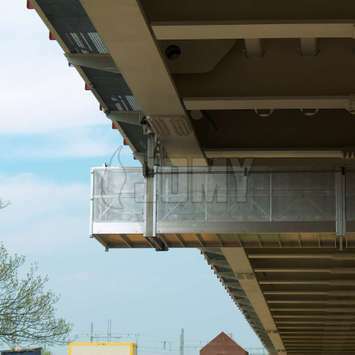 Thanks to the use of the JOMY mobile working structures, one can safely access all parts of the facade for technical maintenance. The façade of your building and the machinery attached to it will need technical maintenance through the years. The solutions isn't obvious without the right systems for reaching all necessary parts of the building. 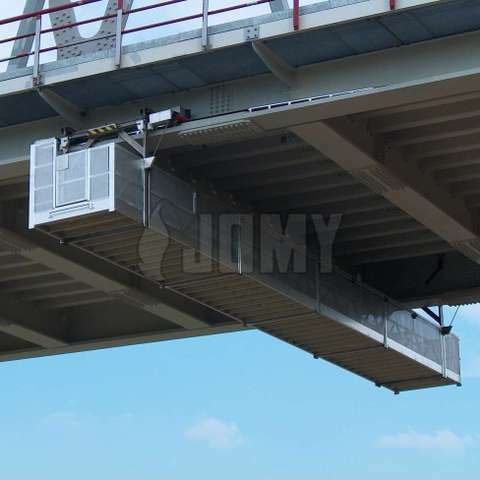 With JOMY mobile working structures, one can safely access the façade for technical maintenance. JOMY gantries and traveling ladders can reach every part of your façade by moving over a series of fixed rails, attached to the building. The maintenance units can be designed to meet your specific requirements and those of your building.